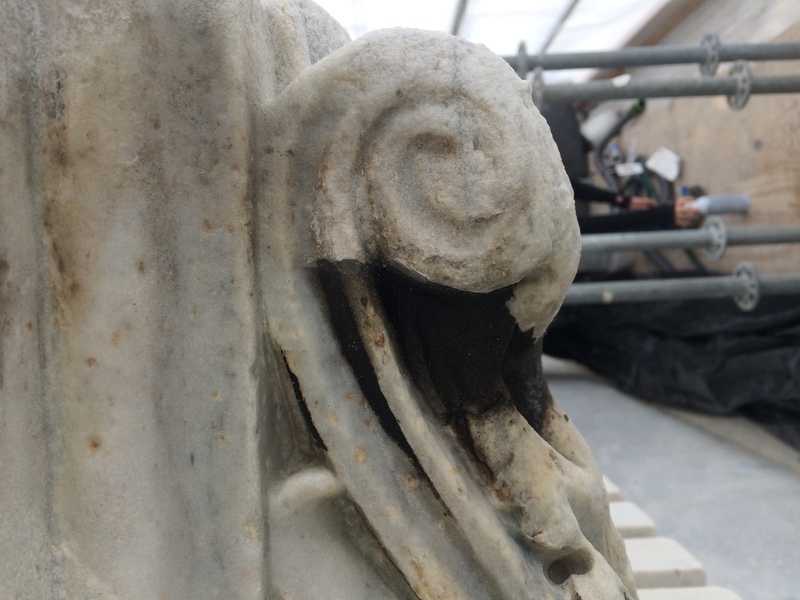 The United States Capitol Building houses the two branches of Congress, the House or Representative on the south and the Senate on the North. 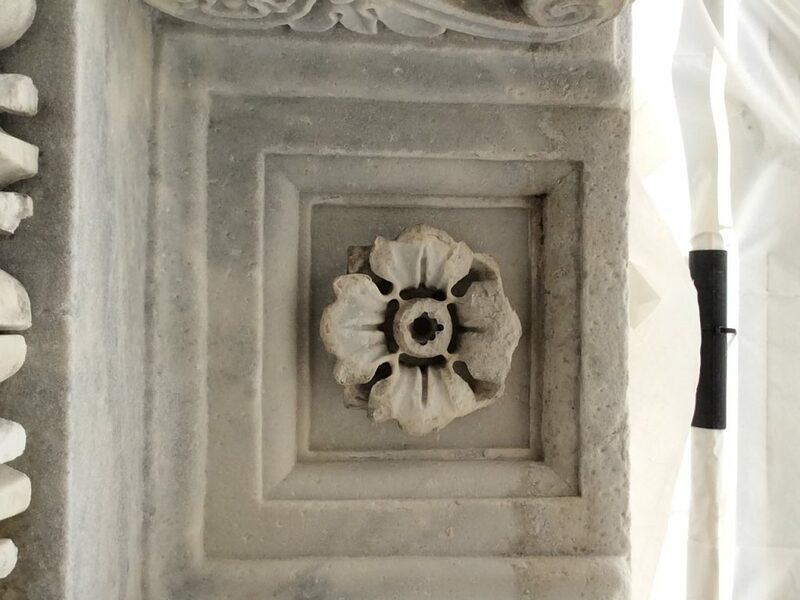 On September 18, 1793, President George Washington laid the cornerstone for the original building which has been greatly expanded over more than two centuries since. 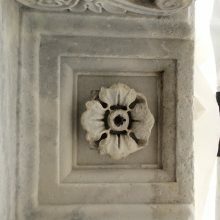 Marbles from Lee, MA and Cockysville, MD were used in the mid 19th century expansion of the Senate (north) wing. 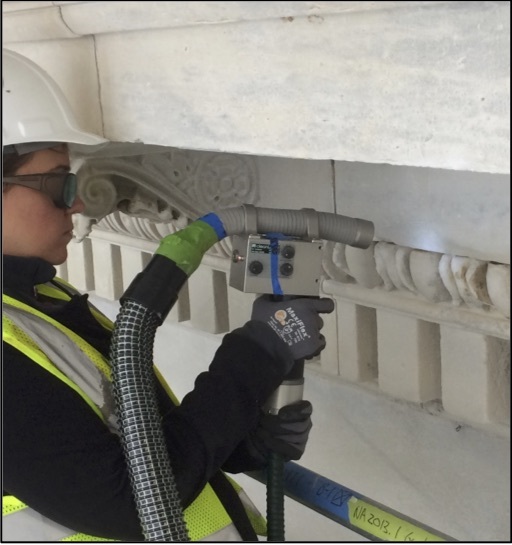 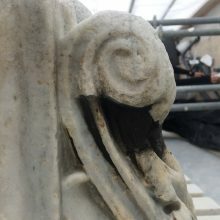 We were engaged to perform laser cleaning of the carved marble of the cornices, pediment, columns, pilaster capitals, window and door surround carved brackets, and over door and pediment sculptures during a major exterior restoration of the Senate Wing. 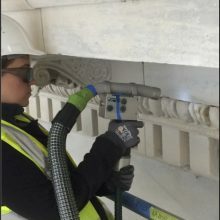 Two (2) CL100FFC 100 watt Q-switched lasers operating at 1064 nm were used to ablate black sulfate crusts and soiling without damaging the weathered stone substrate. 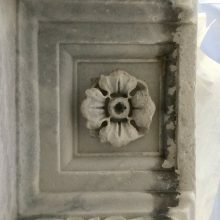 The laser effectively reduced black crusts and soiling on the marble, leaving a substantially cleaned surface. 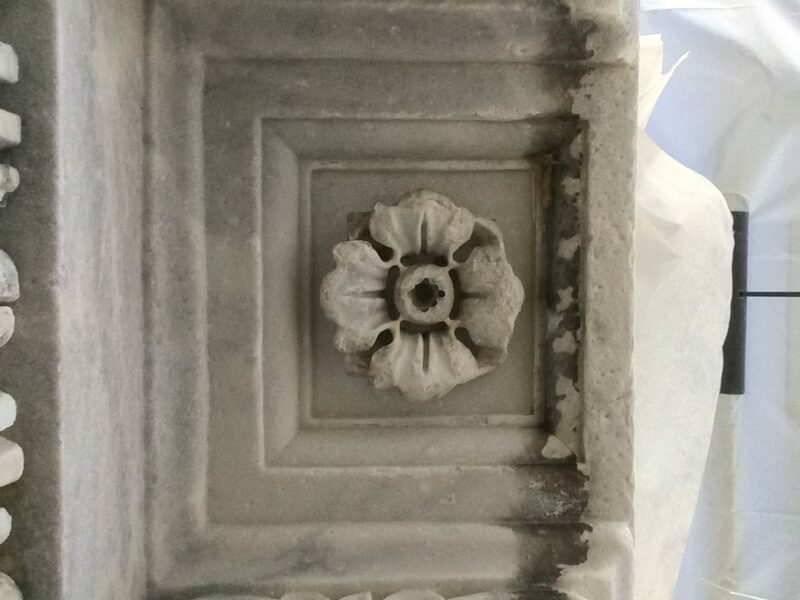 We also performed chemical consolidation of friable stone and assisted in the conservation of bronze elements such as lamps and urns.